These fellowships provide five years' salary and consumables to enable talented clinicians to pursue academic research alongside their clinical practice in order to make long-term improvements in healthcare. The scheme is currently closed for applications - dates for future rounds have not yet been confirmed. The Health Foundation is working with the Academy of Medical Sciences to deliver the Clinician Scientist Fellowship programme. The programme focuses on ‘translational research’ – that is, research that has a direct benefit to patients. The findings can then be used to shape healthcare, by influencing policy or informing professional practice. Clinician Scientist Fellowships were developed by many funders as a result of the Academy's report, 'The Tenured Track Clinician Scientist: a new career pathway to promote recruitment into academic medicine' in March 2000. In 2001 we launched our own Clinician Scientist Fellowship and, in partnership with the Health Foundation, we have supported a growing cohort of clinical academics to pursue and develop their research within a clinical setting. Over four rounds of funding, we have supported 26 outstanding clinicians who are committed to improving practice through advances in clinical research, and are driven to inspire others. Our Clinician Scientist Fellows have the opportunity to build the foundations for a career in clinical academic medicine while conducting valuable research that will improve the quality of care for patients. In 2012, we commissioned an independent evaluation of cohorts 1-3 in this scheme. You can download the evaluation report from the right hand side of this page. Committed to patient-orientated clinical research and able to provide clear evidence that their research will directly benefit patients. Medically qualified, with a PhD or MD in a basic science or clinical/health related subject. Either approaching the end of their training or having recently been awarded consultant status. Able to provide evidence of their clinical research skills. Able to provide evidence of the ability to communicate and disseminate the results of their work. Able to influence and inspire others and drive through changes in clinical practice. Working in an environment that would support their professional development. The programme has supported clinicians working in any medical discipline, whose research has a translational focus. We particularly welcomed applications from professionals working in the fields of anaesthesia, paediatric disciplines, pathology, psychiatry, radiology and surgery. Five years’ funding to cover personal salary costs. An allowance for research expenses. Mentoring from an Academy Fellow. Extensive opportunities to network with experts and peers. The Clinician Scientist Fellowship Awards are supported by the knowledge and commitment of the Academy’s highly respected Fellowship and broad-based networks in academia, industry, the charities, parliament, and public service. 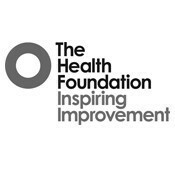 In addition, the fellowship programme benefits from The Health Foundation’s expertise in leadership training and strategies to define and deliver better health and healthcare outcomes. Successful applicants also benefit from access to the Academy’s professional networks, connecting award holders with peers and senior academic leaders. Applicants should not approach Panel members to discuss their application. All queries should be directed to the Panel secretariat on csf@acmedsci.ac.uk. All current Clinician Scientist Fellows are required to report via Researchfish annually by the end of March each year. Click here for full reporting instructions. The scheme is currently closed for applications. For more information about the programme, please contact csf@acmedsci.ac.uk.